Arthur MacMorrough Kavanagh was born at Borris House, Co Carlow in 1831. The youngest of four children he was educated at home and later received tuition at Celbridge, Co Kildare. At the age of three he began riding a small pony strapped into a specially designed built up saddle. He learnt to hold the reins with his rudimentary arms. (One of the saddles can still be seen in Borris House today). As he grew up he learned to fish from horseback and also learned how to use a gun. Though he always had the assistance of a servant he succeeded in living a largely independent life. Kavanagh returned to Ireland in 1853 and succeeded to the family estates. He married Mary Frances Forde-Leathley in 1855 and they had seven children. He was a most philanthropic landlord who promoted the well-being of his tenants and largely rebuilt the towns of Borris and Ballyragget. His mother had introduced floriculture and lacemaking to the Borris and the tradition was continued by Kavanagh’s wife. Kavanagh helped to fund, and provide land for the Bagenalstown to Wexford railway line which passed through Borris. Elected the British House of Commons, Kavanagh served a MP for County Carlow from 1866 to 1880. He overcame the difficulties of travelling from Borris to London by sailing down the Barrow and then sailing his yacht to London. 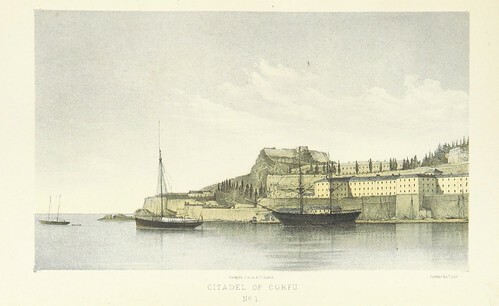 He would moor the yacht near the Houses of Parliament and was then carried to the chamber by his servant. He later served on the Bessbourough Commission and was appointed a member of the Privy Council of Ireland. Kavanagh died of pneumonia in London at the age of 58 on December 25th 1889. He is buried in Ballicopigan cemetery in the demesne of Borris. Arthur MacMorrough Kavanagh, the politician and landlord who had just rudimentary arms and legs was born in Borris House, Co Carlow in the year 1831 On This Day. Frederick York Wolseley was a member of the Wolseley family of Tullow, Co Carlow, Ireland. He invented the first mechanical sheep shearing machine and with Herbert Austin was the producer of Wolseley motor cars. Wolseley lived in Australia for most of his life. A monument to Frederick York Wolseley stands in Wakool, New South Wales about 70km west of Deniliquin. Frederick York Wolseley was born in Ireland in 1837. His father died in 1840 and Frederick and his six siblings were raised by their mother. In 1854 at the age of 17 he emigrated to Australia to work on his brother-in-law’s sheep station near Deniliquin in New South Wales. He began to work on developing a sheep shearing machine. He invented the world’s first mechanical sheep shears for which a patent was obtained in 1884. He founded the Wolseley Sheep Shearing Machine Company Limited in Sydney in 1887. In 1893 Wolseley moved to Birmingham, England. With Herbert Austin he established the Wolseley Sheep Shearing Machine Co. Pty Ltd which would later become Wolseley Engineering Ltd. Sales of the sheep shears was seasonal, so in 1895 they began producing Wolseley motor cars in Birmingham. By 1913 Wolseley was selling 3,000 cars annually, making it the largest car manufacturer in Britain. Frederick York Wolseley died on January 8th 1899. 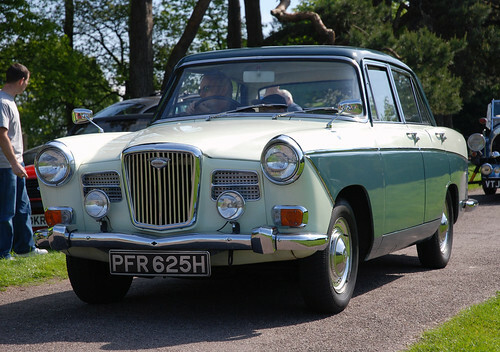 Though production of Wolseley cars ceased in 1975 the company continued to grow and move into other areas of engineering. Today Wolseley describes itself as ‘the world’s leading specialist distributor of plumbing and heating products’. 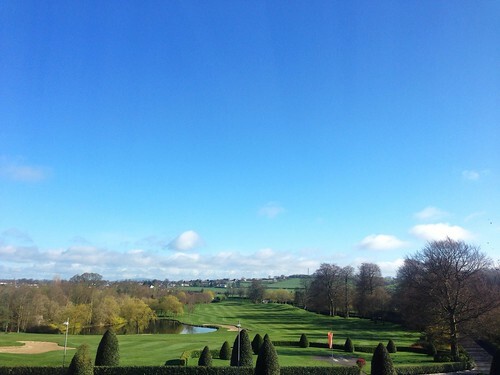 The ancestral home of the Wolseley family in the town of Tullow is now the Mount Wolseley Hotel, Spa and Golf Resort. Originally known as Mount Aaron it became the home of the Wolseley family in 1725 and remained their home for the next 200 years. The stained glass east window in St Columba’s Church in Tullow was erected by the Wolseley family in 1907. Mount Wolseley was sold to the Patrician Order of brothers in 1925. They made the estate the Order’s world headquarters. The Order sold Mount Wolseley in 1994 and it was subsequently developed into a hotel, spa and golf resort. Several vintage rallies are staged there including the Gordon Bennett Rally. Frederick York Wolseley, inventor and industrialist, was born in the year 1837 On This Day. Dr Robert Fleming unveiled a monument in 2001 to his parents Sir Alexander and Lady Sarah Fleming in Kincon near Killala Co Mayo, Ireland, the birthplace of his mother. Alexander Fleming discovered penicillin in September 1928. At the unveiling Robert Fleming recalled the many visits the Fleming family made to Mayo when he was growing up. Alexander Fleming was born near Darvel, Ayrshire, Scotland on August 6th 1881. 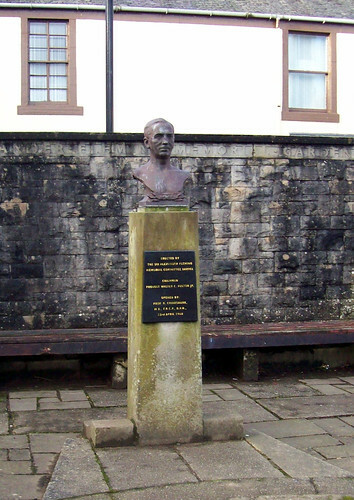 He attended Kilmarnock Academy, where John Boyd Orr another Nobel laureate was also educated. It is one of the few schools in the world to have two past pupils who are Nobel Laureates. At the age of thirteen Fleming moved to London where he lived with his older brother who was a doctor. He studied at what was then the Regent Street Polytechnic, now the University of Westminster later going on to work in the shipping industry. In 1903 Fleming entered St Mary’s Hospital Medical School in Paddington, London and qualified as a doctor in 1906. He later worked as a lecturer at St Mary’s before joining the Army Medical Corps in 1914. He served in France during World War I and returned to work in St Mary’s in 1918. He was elected Professor of Bacteriology at the University of London in 1928. In 1945 Fleming was a co-recipient of the Nobel Prize in Physiology or Medicine for his work on the discovery of penicillin. Sarah McElroy was born in, Kincon in 1881. After leaving school she went to Australia where she trained as a nurse. She returned to Ireland and practised in Dublin for a time before moving to London where she established her own Nursing Home. Alexander Fleming and Sarah McElroy met while they were both working in London. They were married on December 3rd 1915 when Alexander, then a captain in the Medical Corps, was on leave from France. Their son, Robert, qualified as a doctor. Besides the Nobel Prize Fleming was the recipient of numerous awards during his lifetime. He was elected Fellow of the Royal Society in 1943 and was knighted by King George VI in 1944. Sir Alexander Fleming died at his home in London at the age of 73 in the year 1955 On This Day. Today is International Women’s Day 2016. The aim of the pledge is to help accelerate gender parity. International Women’s day has its origins in events in New York in 1907. In that year a group of women working in the clothing industry ‘sweatshops’ held a march to protest at wages and working conditions. The march was attacked by the police and a similar march was held on March 8th the following year. The first International Women’s Day was held in 1911. From small beginnings it has become a day set aside when governments, corporations, institutions and women groups have the opportunity to celebrate the achievements of women while calling for greater equality. In Ireland a series of events are held each year on and around March 8th in celebration of International Women’s Day. International Women’s Day is celebrated each year On This Day.